Bentham was a British philosopher, jurist, and social reformer. He is regarded as the founder of modern utilitarianism. 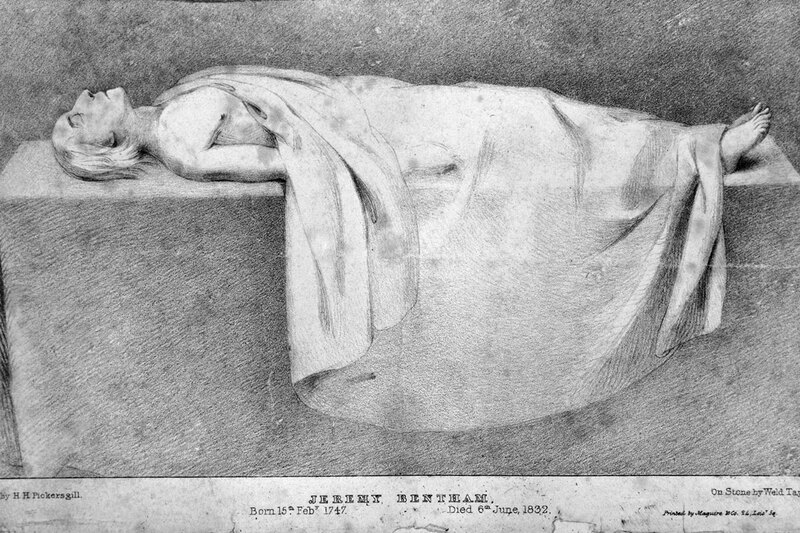 On his death in 1832, Bentham left instructions for his body to be first dissected, and then to be permanently preserved as an “auto-icon” (or self-image), which would be his memorial. This was done, and the auto-icon is now on public display at University College London.